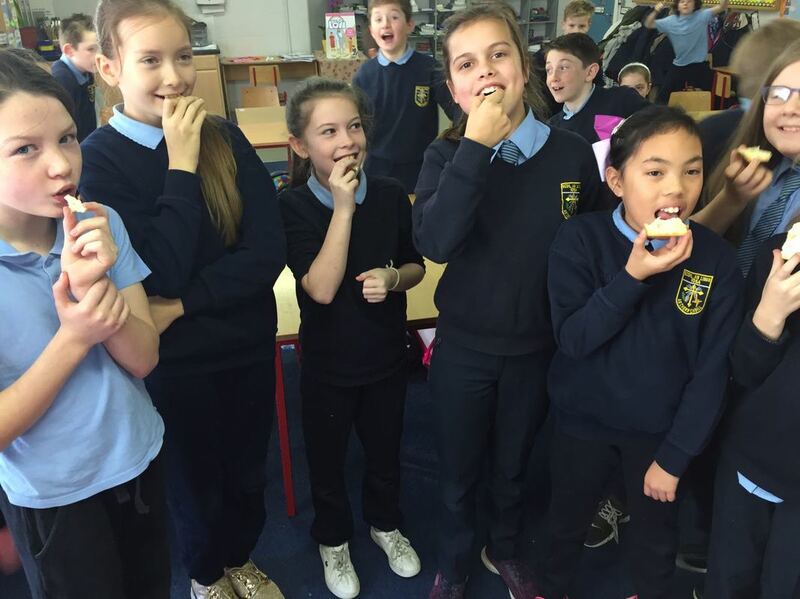 Ms. Dunne's fourth class have been super busy this term with lots of different activities and initiatives! We did a country study of Norway and did lots of work on this country in our classes. 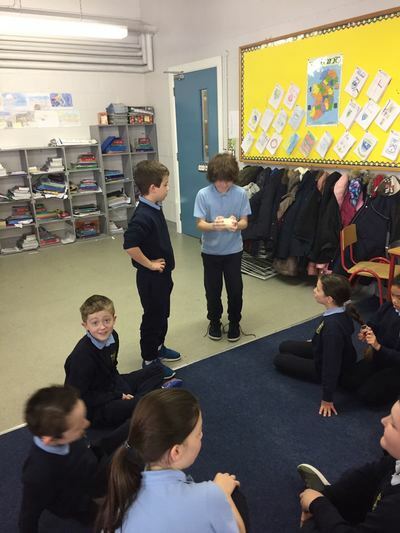 We also worked in groups and created large projects which we presented to our classmates. Have a look below at us presenting our wonderful projects! As Easter is very much in the air at the moment we have been very busy doing all things Easter themed. Most recently, we got into the Easter spirit by making Easter bunnies while showcasing our lovely Easter bonnets! 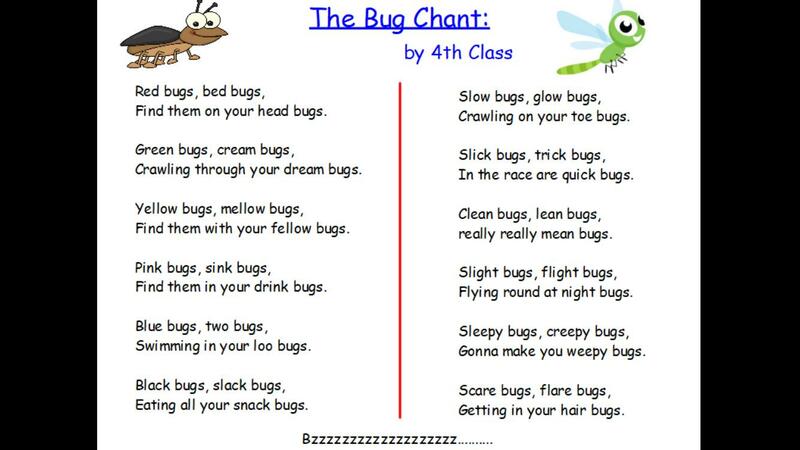 ​Ms Dunne’s English group created this catchy chant. Some rappers in the making? 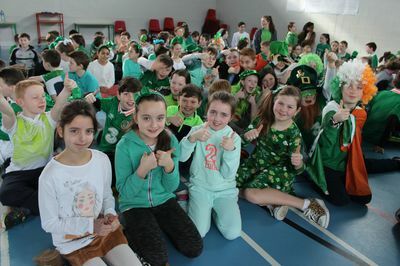 Everyone is welcome to Ms. Kelly's fourth class blog. We are really looking forward to lots of learning and fun as the year passes. We've even started our year off with some guitar lessons with Don. Stay tuned to our blog to see what we get up to this year! This week, nine sessions of guitar lessons, culminated in a most entertaining performance by the children of fourth class. 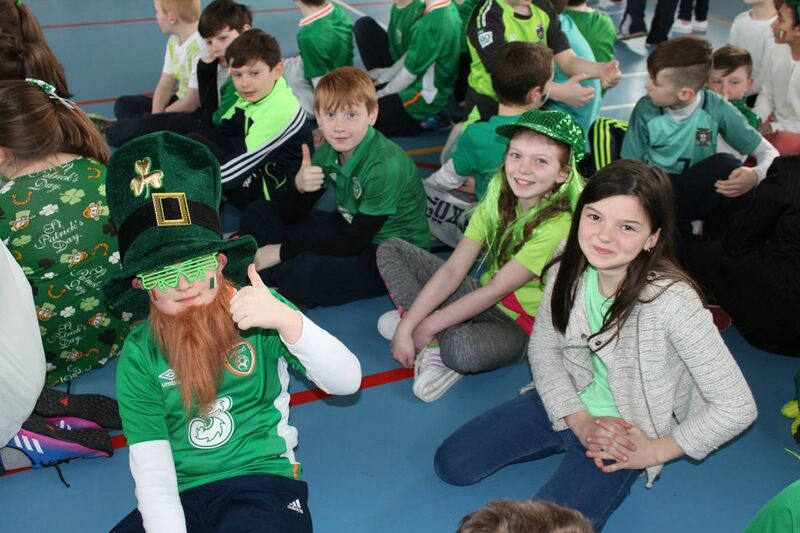 They strummed, sang and danced to entertain their parents and other classes. They did their teachers, including Mr. Nea their guitar instructor, very proud. Special thanks to the PTA for funding the lessons. 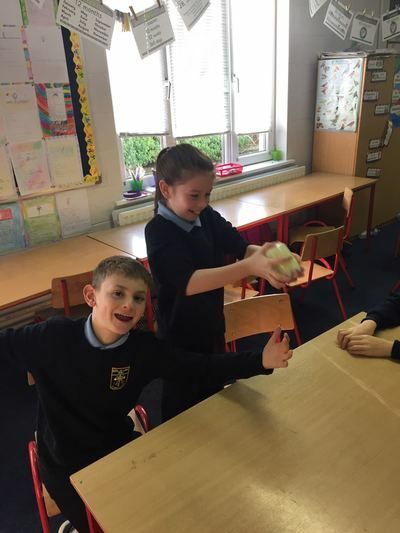 As part of Science Week we investigated materials and how they change. We separated cream into a solid (butter) and liquid (buttermilk) by shaking it in a different containers. The single cream worked best for us in the glass jar. We enjoyed our butter on crackers. We had great fun celebrating Science Week! 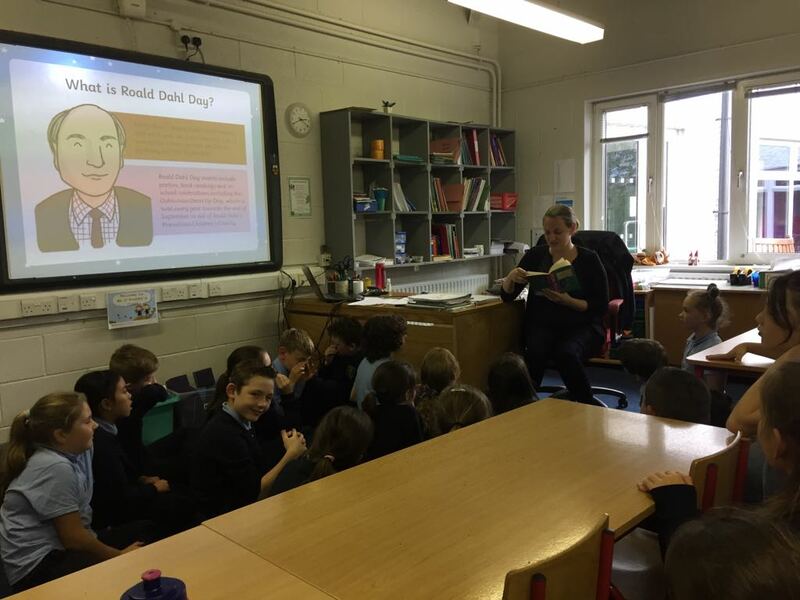 Ms. O'Rourke's Class enjoyed reading The Twits and learning about Roald Dahl. Fourth class was a wash with green, white and gold to celebrate Seachtain na Gaeilge. 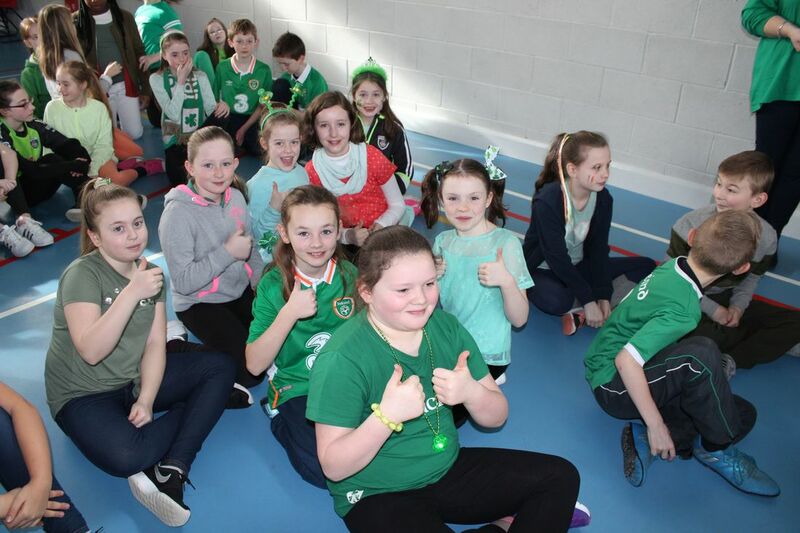 We took part in a céilí at the end of SNAG agus bhaineamar an-taithneamh as. 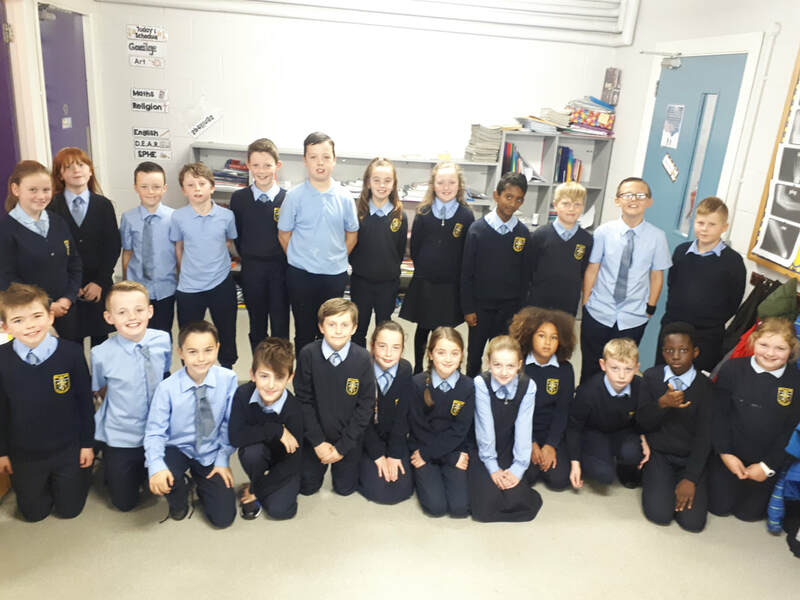 The children of fourth class participated in guitar lessons for the past ten weeks. 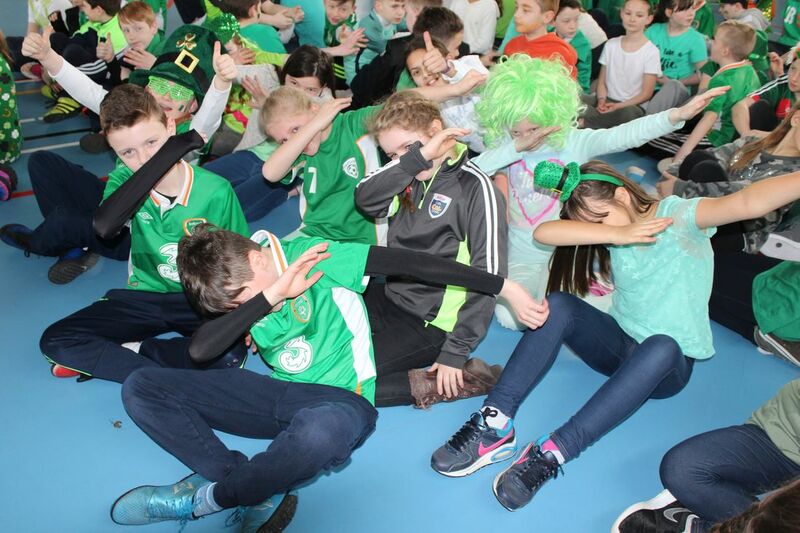 Below are the videos which the excellent performance they did for their families and classmates. They played guitar and percussion instruments, sang and dance. We know that everyone in the audience thoroughly enjoyed the performance.